As magical as the big day is, it’s best to expect the best and prepare for the worst. And with so many things on your plate, the last thing you should have to stress out about is bridal party drama. 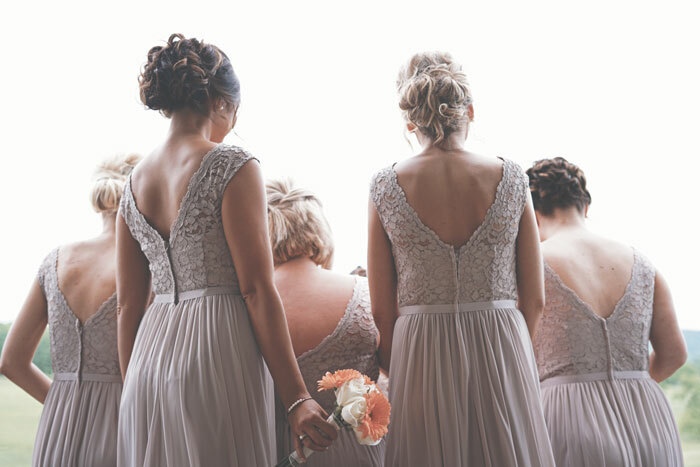 So before you get your bridal party in order, keep these five tips in mind to ensure everything runs as smoothly as possible. If your closest friends haven’t met yet, now is the time to introduce them to each other. After all, they’re going to be running into each other at the shower, bachelorette party, and wedding day. Don’t worry about setting up a grand event. Simply set a lunch date with all of your ladies or have a girl’s night in so the closest people in your life get a chance to get to know each other. Although easier said than done, one way you can avoid issues within your bridal party is to be selective with who you choose. If you want someone standing with you on your wedding day, then ask them to be there. But if you feel pressured to ask someone so their feelings don’t get hurt, take extra time to decide if that’s something you’re willing to do. After all, it’s your wedding, and you should do exactly what you prefer. Communication is key. Let your bridal party know what you need and expect from them leading up to the wedding and on the big day itself. By setting expectations, not only is everyone on the same page, but it also makes it less likely for issues to arise. Drama can often be born out of boredom or a lack of communication, so eliminate both by asking for help. There’s no doubt you have a laundry list of tasks you could use an extra hand on. Delegate different tasks to different people in your bridal party so they’re kept busy. Tension can rise as you approach the big day and ignoring that tension will only make things worse. If you’re feeling friction with one of your bridesmaids, deal with it. Get it out in the open and work through it so you can move past it. The last thing you want is to have an issue with a close friend hanging over you on your wedding day. Clear the air so you can have the day you’ve been dreaming of.